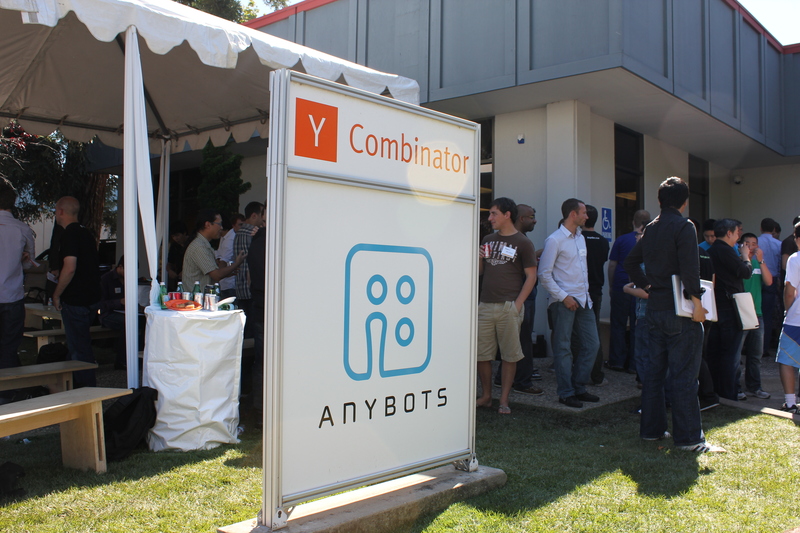 Silicon Valley startup incubator Y-Combinator held the first of two demo days for its Summer 2011 class on Tuesday, unveiling 63 new companies to investors and journalists at its Mountain View, Calif. headquarters. About half of the startup presentations were off the record, meaning just 31 of the presenting companies categorized themselves as welcoming press coverage. In all, it’s the biggest Y-Combinator class yet. The investors I chatted with at the event all agreed on one thing: They were impressed by the poise and professionalism each Y-Combinator startup showed during their demonstrations. There was not an awkward “wantrepreneur” in sight — every single company showed potential in one way or another, and many of them have already garnered impressive user growth and even solid revenue. It goes to show that just because Y-Combinator has admitted a record number of entrepreneurs, the quality standards are as high as ever. ZigFu provides tools to help developers create apps that are controlled by human gestures. ZigFu’s four-person founding team includes two former engineers at PrimeSense, the Israeli firm from which Microsoft (s msft) licenses technology to power the Xbox Kinect motion sensing system. Their presentation slides were moved along with a wave of the hand, which was fun to watch. The company essentially wants to create an app store for motion control apps, which are just starting to become possible thanks to Kinect and other platforms. ZigFu is clearly in its infancy at this point, but it has already seen an impressive response from the developer community that’s eager to start making apps with gesture features, co-founder Ted Blackman told me. Vidyard touts itself as a “YouTube for business,” an embeddable app that allows companies to easily post videos onto their site. The idea is, YouTube’s (s goog) native experience isn’t the best for businesses: On YouTube, BlackBerry’s official video about its PlayBook tablet is surrounded by unflattering comments and videos about rival devices, for example. Vidyard’s app purportedly gives businesses more control but is still very easy for them to use. The company has booked an impressive $100,000 in revenue to date and has already garnered such customers as Coca-Cola (s ko) and Maxwell House (s kft). Vidyard is one of those startups that has only recently become possible because of leaps forward in bandwidth and cloud computing technology, and I could see it becoming hugely successful in short order. Codecademy is a software program that teaches users how to program computer code in an interactive and social way. Think Khan Adademy for programming. It’s become seriously popular in the two weeks it’s been live: Codecademy now has more than 200,000 users, and has been approached by lots of big name tech firms keen to hire graduates as soon as they come off the line. The company’s founders claim they’re teaching “the only skill that will matter in the future,” and it seems that many people agree they might be correct. Debteye’s software provides consumer debt counseling as a completely automated service. It may not be at the forefront of tech industry discussions, but the debt collection and credit counseling industry is huge: and it’s currently dominated by firms who deal with each case over the phone (and often have bad reputations for charging high fees to ostensibly help people get out of debt.) Debteye’s team is comprised of top-notch hackers that want to bring a clean, automated solution to the whole mess. It’s not likely to become an investor darling for being “the Airbnb of” anything, but it is aiming at a huge existing market that could seriously use some Silicon Valley-like innovation. Verbling’s in-browser live video chat platform connects people who are learning a language with native speakers all over the world. The interface looked relatively simple — that may be because it seems only one of Verbling’s three co-founders is technical — but the idea is fantastic, and six weeks in the company has already picked up a lot of steam. Verbling is currently hosting nearly 2,500 minutes of conversation daily. This struck me as an ideal acquisition target for any number of educational publishers and software providers looking to add extra oomph to their language programs. Now, this list is far from comprehensive — a lot of very cool companies were frustratingly off the record, and we’ve already covered a handful of this season’s YC startups such as Parse, DoubleRecall and Paperlinks. A good proportion of the companies in this YC class seem to have a nice future ahead of them, so we’ll likely be covering more of them in the weeks and months ahead. Personally, I think Y Combinator is a stupid idea doomed to fail long-term. It’s basically a throw everything against the wall mentality and see what sticks. Any budding entrepreneur with a really good idea should think twice about signing up with Paul Graham. He’s just grabbing equity and propping these companies up long before most of them are ready. I love the concept behind Debteye’s product. Having spent some time in the credit / debt management IT space, I think it’s a massive opportunity. A lot of people have serious debt issues and have nothing but untrustworthy credit repair companies to go to, or credit counselors who employ underpaid and overworked nonprofit employees. Looks like a very cool crop of startups all around, I wish them luck!